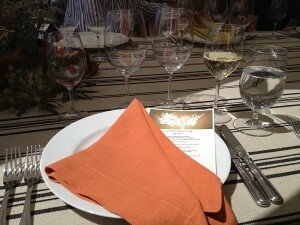 It was early July, Chris and I were planning our trip to Sonoma for an event hosted by Verite. I was scheduled for work in California around the same time, so decided to go out early in the week and fly back Sunday as usual. 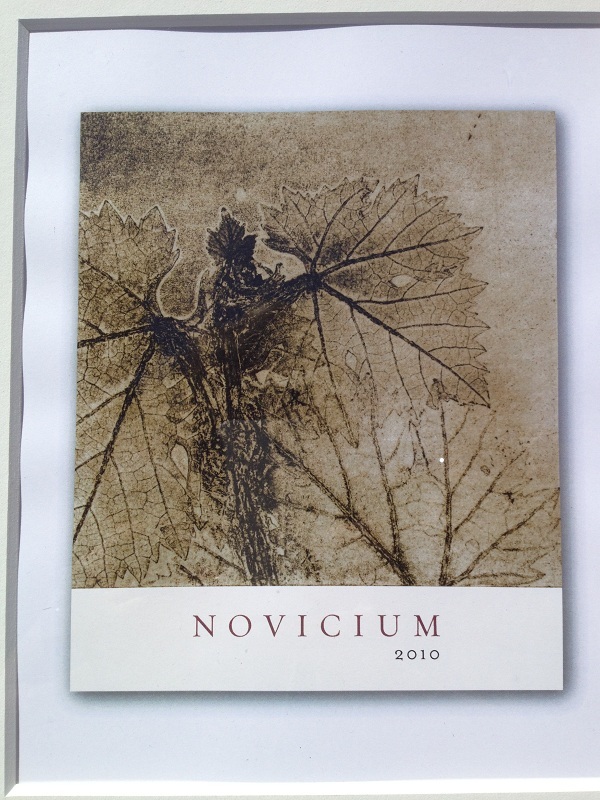 As we were in the middle of selecting flights I received an invite via email from Continuum Estate. 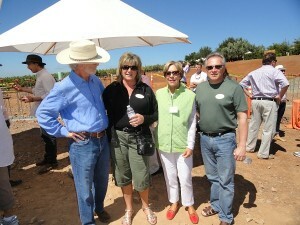 The invitation was for an All-American wine country barbecue atop the Continuum Estate. Perfect timing! Of course, I could not resist an invitation like this. We have visited the Continuum estate twice previously and love it there. 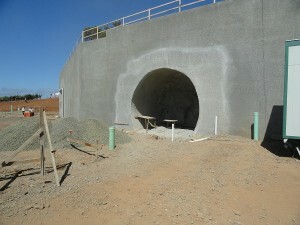 Seeing how they are progressing on the construction would be a treat as well. I immediately replied in acceptance to Lindsey and reserved a spot for four. We pushed out our schedule an extra day so we could attend the event and I was really excited for the weekend. There were going to be two great events and Continuum has been moving up on my favorites list. We knew we wanted our dear friends Carly and Robert to accompany us so I immediately contacted Carly and the plan was made. On Sunday morning the day of the event we woke early. Neither Chris nor I could sleep. We generally get up early and with a two-hour difference as we start tossing and turning at 4:30am local time. We got ready, packed up the car and we were on our way to Calistoga. It took us less than an hour to travel from where we were staying in Windsor to Calistoga. With all of our past travels to wine country driving out there is becoming second nature for us and we’ve become quite familiar with the routes. We arrived about ten minutes early. After some hugging and brief conversations with Robert and Carly, we were on our way to the Continuum Estate. The invitation noted we had to park just off Conn Creek Road and I can understand why. The drive up to the estate has narrow and windy roads. I am sure they did not want 30 plus cars driving up and down after a few hours of fun. We actually saw a small sign where we were to park as we drove by. After a quick turn around the car was parked. We were greeted by Lindsey at the check-in table. She is so warm and friendly and welcomed us with open arms. We introduced her to Carly and Robert and grabbed our name badges and waited to load the shuttle vans. I was pleased to see that Continuum chose to have everyone wear name badges. 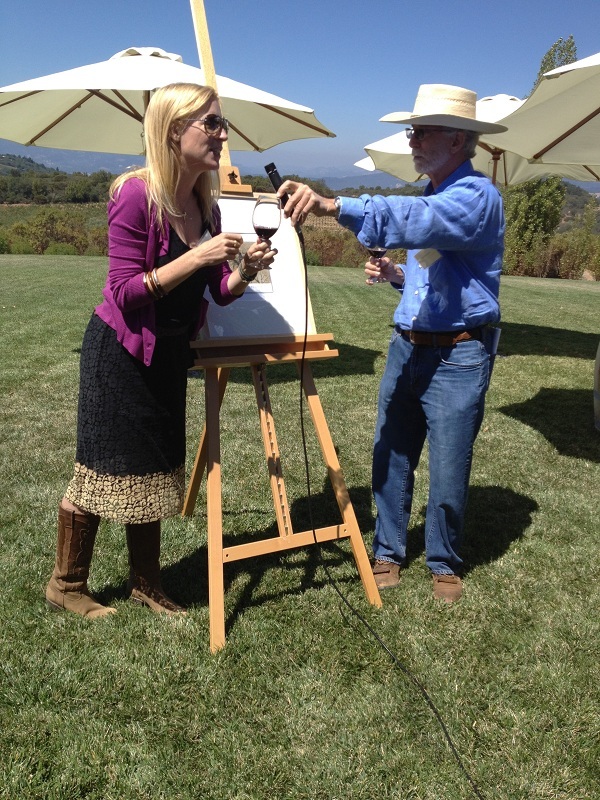 There have been numerous events from other wineries where Chris and I have met people, but we tend to forget their names! That was a nice touch. Once most of the guests had arrived, it was about a twenty-minute drive up the hill. We had to stop from time to time as local traffic was driving down. During the trip up to the estate Burke Owens (Marketing and Communications) talked briefly about the history of Continuum and the Mondavi family. He was very friendly and enthusiastic. As we were exiting the vans we could see where the new caves are being dug and the building where the large fermentation tanks are to be located. We were greeted by Marcia Mondavi Borger and Tim Mondavi, along with Tim’s four children Carissa, Carlo, Dante, and Chiara who also are part of Continuum Estate. The group proceeded to the first cave opening, which will eventually be the opening where the barrels are brought in for fermentation. Guests were offered a glass of lemon aid to stay hydrated, but a few of us thought we might spoil the palate so we stuck with water! The weather was perfect with a slight breeze. I could see how drinking a little wine and the weather could dehydrate you relatively quickly. After a few minutes of introductions and hello’s, everyone proceeded to where there were three estate drawings on easels. 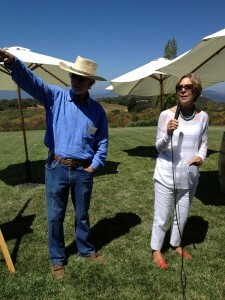 Tim and his sister Marcia greeted us all and continued to visit about Continuum and what was to come. 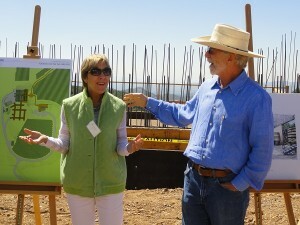 Carisa followed her dad talking briefly about the construction then turned it over to Greg Brady, the General Manager. Greg spent some time talking about the overall construction and the work schedule. If my memory serves me, Tim is hoping that the estate will be complete by September 2013 just in time for crush! It was time to venture up to where the new tasting room will be. There were many tables setup with umbrellas. To our left of the tables, there were additional umbrellas with a table of cheese and a new painting. Again Tim and Marcia had a brief speech and talked about the second label “Novicium” that they will offer to members this year. Tim had to thank Dante and Carlo for the idea during his conversation of why a second label was to be made. 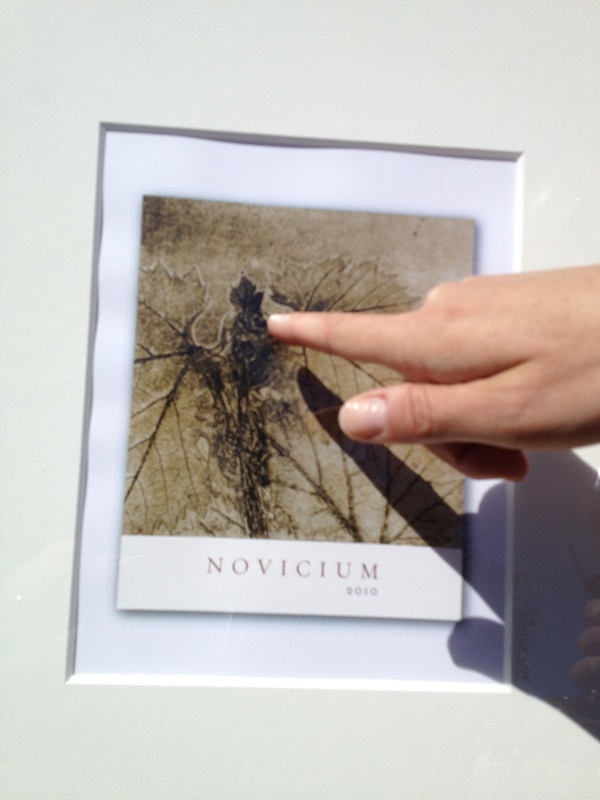 We were all offered some cheese to cleanse the pallet and were given a glass of Novicium. It was excellent! It too was a Bordeaux blend and I would rate it four glasses! I see a blog in the future once I get my shipment. The painting was very beautiful. Carisa introducing Chaira with Dad! Chiara who was the artist; talked about her inspiration for creating the painting. She was very enthusiastic and excited for everyone to see her work. When we were asked to venture to the tables Chris and I wandered over to talk to Chiara and appreciated her work. Chiara pointing out key parts of the grape vine! I could feel her excitement. After the brief speech, we found ourselves sitting at the third table directly across from one of the tasting room doors. Placed in front of us was the menu. As you can see we were going to have a real treat. After we were seated, one of the servers poured us a glass of Laurenz V. Singing Gruner Veltliner from Austria. The white wine was refreshing and a great start to an excellent lunch. Soon thereafter, we were greeted by Stuart Harrison (Stu) and Lindsey Maldonado (The Queen of Continuum Hospitality per the Mondavi’s). 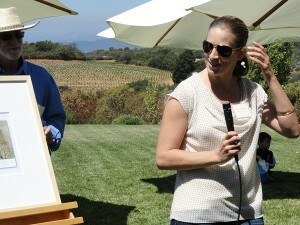 Stu is the director of sales and marketing and I’ve heard he was instrumental in the launch of Opus One. Of course, Chris had to mention that I write a blog so Stu was interested in learning more. I was curious about the business side and we had an interesting conversation about how do you price or what will the market tolerate for a bottle of wine. 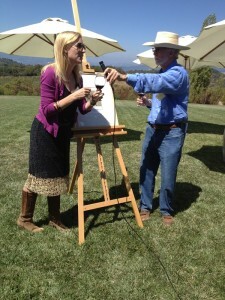 I can tell you I have no objection paying more per bottle to wineries who host events like these. 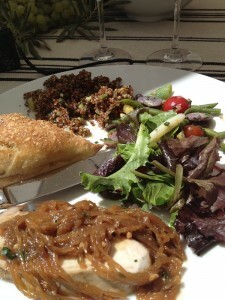 Chef Sarah Scott did an excellent job preparing the food as we loved everything! I was really interested and loved the Red Quinoa Tabboulech and hope Chris will make it for me sometime at home. 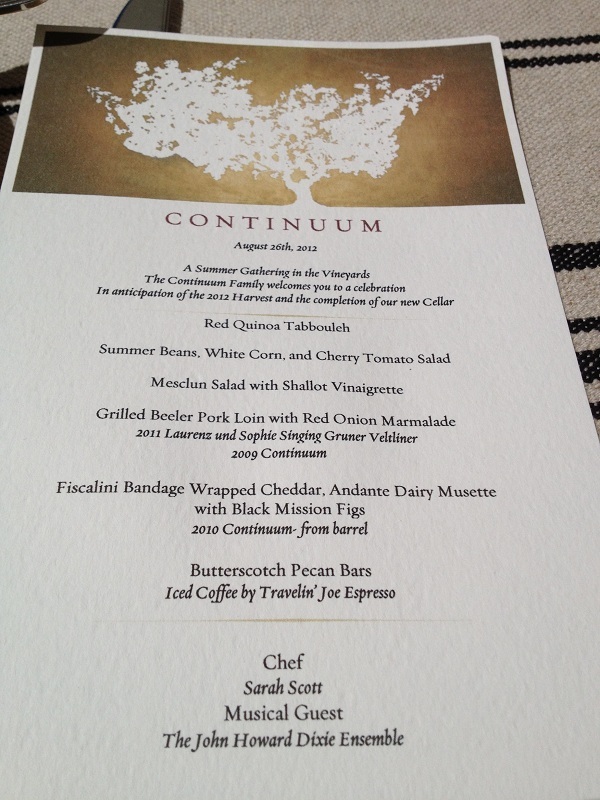 The 2009 Continuum was served while we ate. 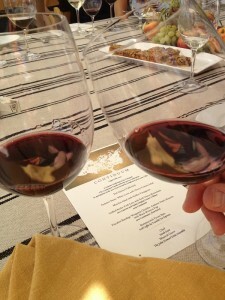 I have to say the 2009 Continuum is a definite four glasses! 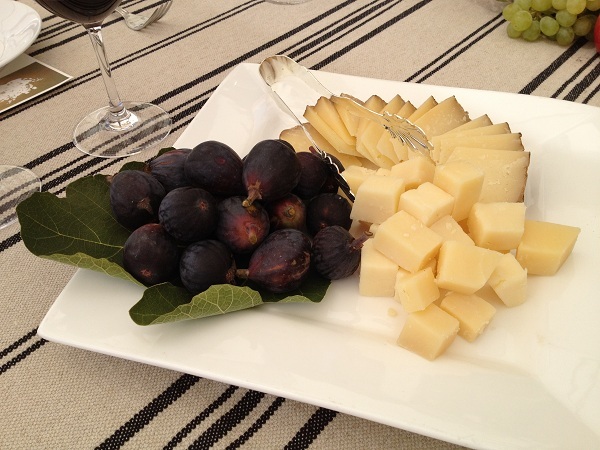 After the main course, we were served Fiscalini Bandage wrapped Cheddar and Andante Dairy Musette with fresh Black mission Figs. 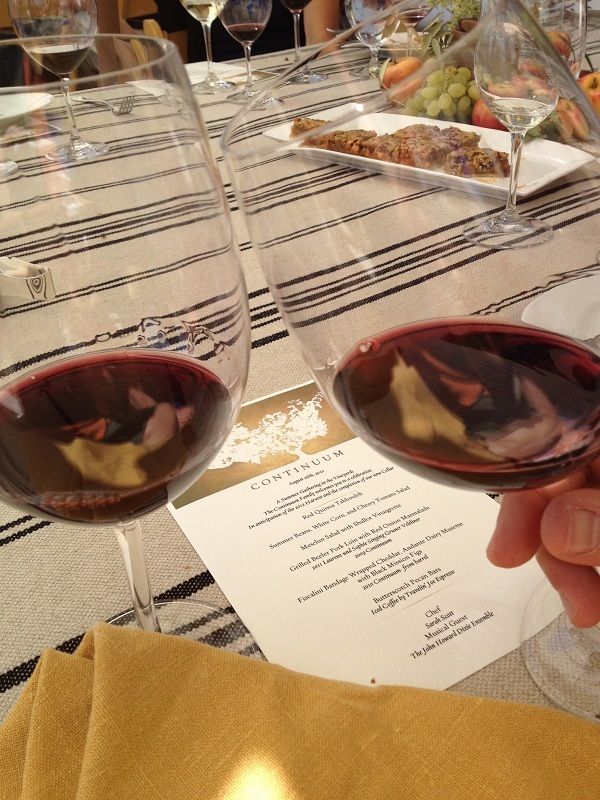 At the same time, we were served a barrel tasting of the 2010 Continuum. Wow, the 2010 Continuum in the barrel was excellent! I have to say it really competes with “Verite” out of Sonoma. I can only imagine how it will taste a few years down the road. The day overall was stellar! 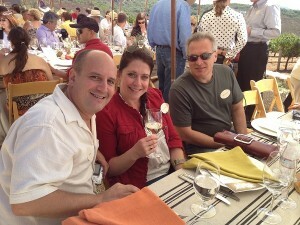 The Mondavi Family and Continuum team are excellent hosts. The Continuum and Novicium wines are an awesome addition to my cellar. I am looking forward to my next visit – likely in May 2013 and look forward to the next event at the estate at harvest 2013. If you are not part of the mailing list and would like to join here is a quick link. I would recommend joining the list. I also placed an order for the Novicium. My financial adviser Jim, just hates it when I travel to the valley! It’s hard not to buy such an excellent wine… I guess I need to have Jim and his wife join Chris and myself so he sees what I am talking about!